Ok it is february 15 and I am half way through the month. I have learned so much about individuals in my family. Some post have made me cry. Ok one post did. But in that post I spoke about how she was a spoke in my wheel. Now I want to …talk about my other spokes. Theo, Lina, Nikki and Demetria. These four ladies are the cousins that I grew up with. They each know something about me know other cousin knows. We all have some kind of secret with each other. These are the cousins that are more than just cousins. Theo Malloy and Camille took me to me to my first ballet Lina was the fighting one and I could always depend on her Dashaun Lanham (Nikki) well we could finish a conversation in our sleep in two separate houses (don’t ask how just know that we did it) and DeMetria Michelle we were always close but it didn’t get to where it is until after Millie left us and I am so glad for it. 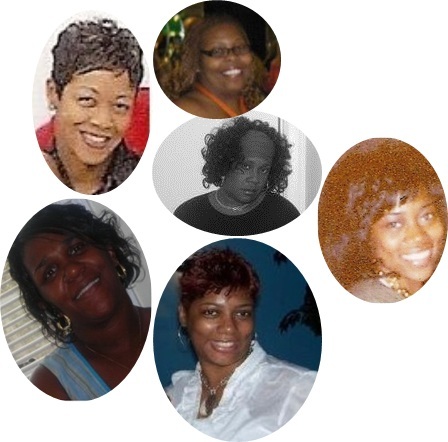 So these four women along with Camille complete the spokes in my wheel. Even though we don’t talk as much I need you to know I love you guys and I am so glad you are more than just my cousins.